The NMC only has a statutory responsibility for the actions of individual registrants, but there is increasing awareness of the effect of the environment where nurses and midwives work on their ability to base their practice on evidence. 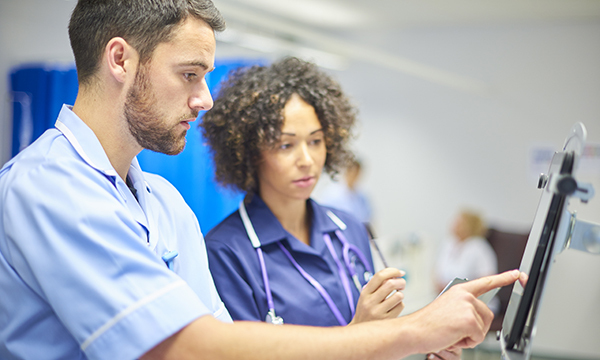 Enabling Professionalism in Nursing and Midwifery Practice, published last year, is a framework developed by the NMC and the four UK chief nursing officers to provide guidance on how to use the code in practice. The framework clearly identifies the responsibility of employers to create an environment for reflective practice and to ensure professional development opportunities are available to their staff. Senior nurses therefore have a duty to create systems promoting awareness of new research evidence, and how to use it, with the teams they lead and manage. Creating a research-informed practice environment in clinical settings can be challenging for senior nurses, particularly with recent cuts to national continuing professional development (CPD) funding and fewer formal educational opportunities. One solution can be to encourage staff to access updates from evidence-synthesis centres such as the National Institute for Health Research (NIHR) Dissemination Centre. Our aim is to put good research evidence at the heart of decision-making in the NHS, public health and social care by helping healthcare professionals, commissioners and patients to make evidence-based decisions about which treatments, practices and organisational processes are most effective and provide the best use of resources. One of the ways we do this is to identify the latest health research, including NIHR-funded research and other important findings from the UK and internationally. We then critically appraise the studies to identify the most reliable, relevant and significant findings. Studies that are robust and provide actionable, accessible and trustworthy evidence are summarised in our easy-to-read NIHR Signals, which are free to access online. Signals have proved popular, but we have found that nurses and midwives are also keen to hear how the findings relate to practice and how other nurses have used research findings to improve the care they deliver. In response, and to mark International Nurses’ Day last month, we launched a collection of Signals chosen by nurses at the 2018 RCN Congress, in Belfast. We asked three nurses, at different stages of their careers, to choose three or four of our published Signals and reflect on the strengths and limitations and how this new knowledge might be used in practice. The authors were a nursing student, a Band 6 nurse and a social-media nurse entrepreneur. Their responses can be downloaded free from the website. These nurses’ reflections help start a conversation about research and we hope it will be particularly useful to share them in this way with junior staff. We believe that senior nurses could encourage their staff to follow this approach to contribute to the 35 hours of CPD that individual nurses’ require for their revalidation portfolios for the NMC.